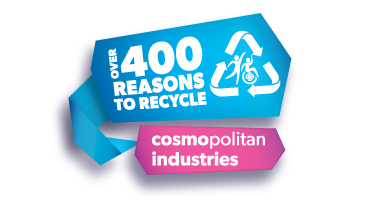 Cosmopolitan Industries works on improving the lives of people with varying intellectual disabilities through vocational activities. 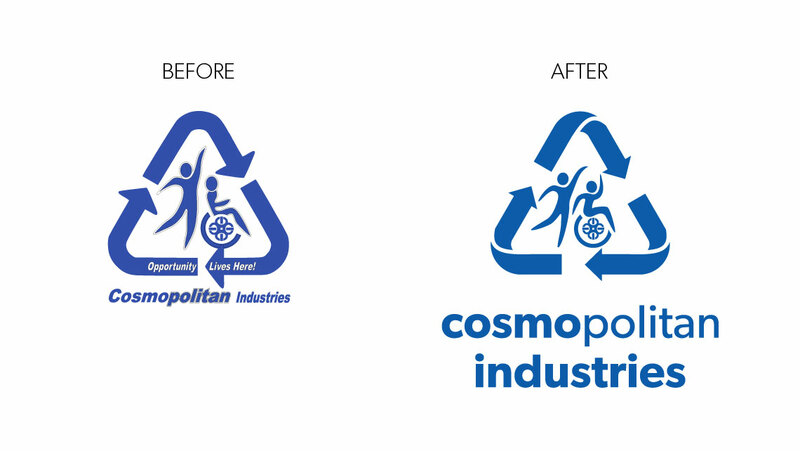 Helping over 400 adults and employing 130 staff, Cosmopolitan Industries needed a bit of a refresh to make their logo match the inspiring work they do. The logo needed to be cleaned up, modernized and made to look more dynamic. First, the icon was simplified and redrawn to represent two people of varying abilities working together to achieve a common goal. Second, the type was also cleaned up using a more modern sans-serif font. 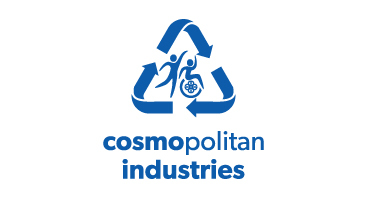 The word "cosmo" was highlighted in the logo as it is the most common term used when people talk about Cosmopolitan Industries. 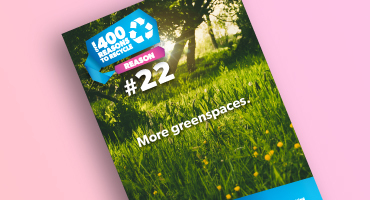 The "Over 400 Reasons to Reycle" campaign was a way to draw attention to the 400+ participants that benefit from the Cosmopolitan Industries recycling program as well as educate the public about recycling in general. 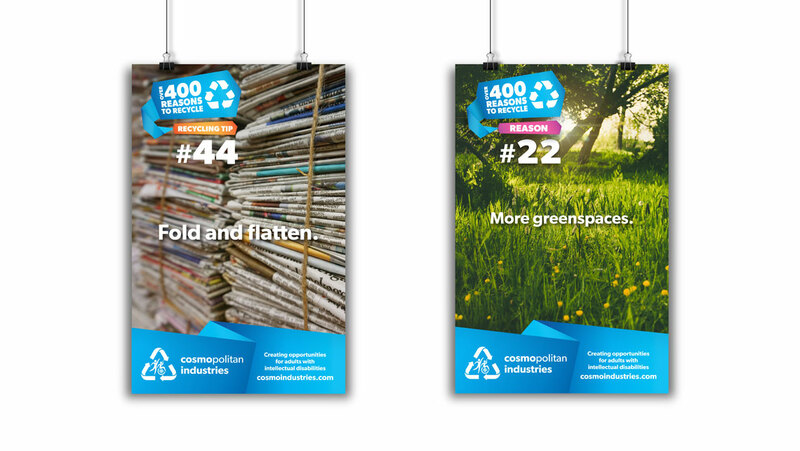 The resulting graphics were created with the intention of being used as a label of sorts as well as a call to action on various media. Made to look like a flattened and folded package heading for recycling. 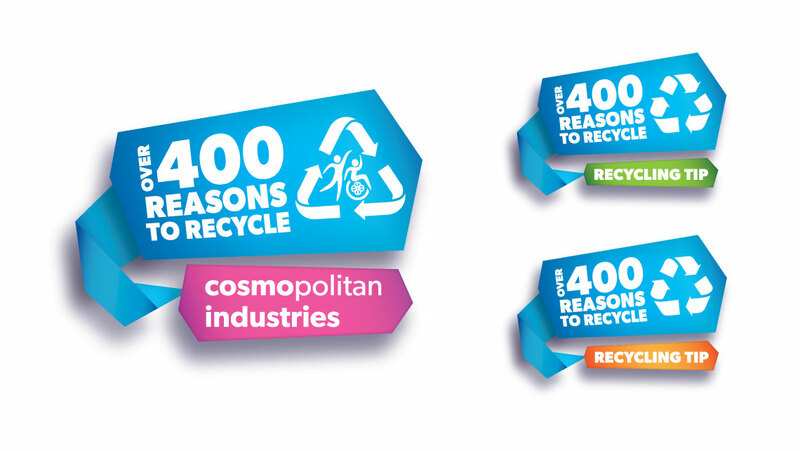 The graphics incorporated fun bright colours, modern type, and in some cases the refreshed logo.